A loan of $1,800 helped a member to buy fertilizer and install irrigation pipes in order to increase her production of sorghum. Triphonie is the ABANYAMURAVA MUHAMBO group leader. She is 47 years old, married and the mother of two children. She is very concerned about the wellbeing of her children and always works hard to improve their living conditions. Triphonie cultivates sorghum and make local drinks from sorghum. She has 30 years of experience in this field and has two employees. She is constantly challenged by the dry season but still managed to gradually expand her business. Lack of capital prevents her from reaching her sales targets and slows her profit growth, so she is requesting this loan in order to buy fertilizer and install irrigation pipes to increase production, as well as sales. 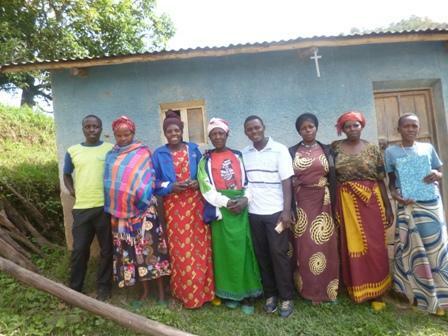 This is Triphonie’s third loan cycle with Visionfund Rwanda and the profits generated by this loan will be used to pay for her children school fees. Triphonie is deeply thankful to the Kiva lenders.